The first southern migrant hawker dragonflies ever recorded in Dorset have been seen on Dorset Wildlife Trust’s (DWT’s) nature reserve, Lytchett Heath, which is part of The Great Heath Living Landscape project in east Dorset. Three males were first spotted by local birdwatcher, Ian Ballam. 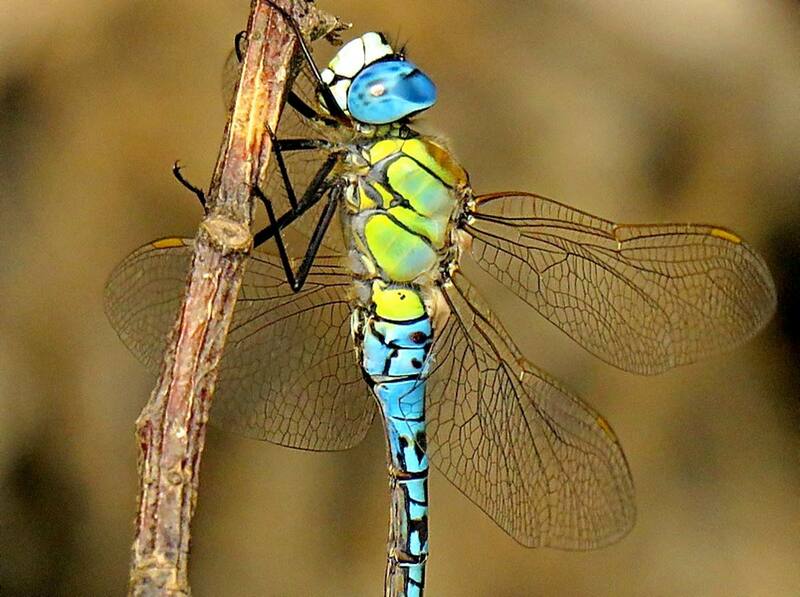 Ian said, “Lytchett Bay is my ‘patch’ for birding, but in summer I also record dragonflies. “I was making a quick visit to the DWT reserve at Lytchett Bay on Saturday 21 July and as soon as I arrived at the main ‘dried-up’ pool, I noticed a bright blue small Hawker type dragonfly. Then I noticed another exactly the same on an adjacent pool. DWT conservation officer, Hamish Murray said, “This is a great sighting for Dorset.” He explained that the largely Mediterranean species was formerly a very rare visitor to the UK, “but since 2006, sightings have increased, especially in the south-east of England.” He added that it is now considered to be a potential colonist. “The warmer weather we’ve been having may have attracted them to the south coast, as they are used to living in warm conditions found in Europe and Asia,” said Hamish.